Rapid Mailer is fraudulent, beware! To all our supporters, fans and Tribulant Software customers. My name is Antonie, owner and software engineer at Tribulant Software. If you have a moment, please read this notice and help us share the word to keep the internet and software moral clean. 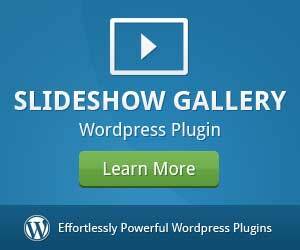 It has come to our attention that our WordPress Newsletter plugin has been taken by someone and an exact copy of the plugin is being sold as Rapid Mailer by Sean Donahoe. Please BEWARE! We are very disappointed in this due to our hard work that we put into this each day of our lives. It is our passion, it is our life, this is what we do! This is what Rapid Mailer looks like. If you have seen or are using our Newsletter plugin, you will immediately notice that it is an exact copy which is being sold independently under a different name. It is unethical to say the least about it. We started development on our WordPress Newsletter plugin 7 years ago, from scratch. We’ve been building on it since, improving the software, building new features and more importantly, evolving with both the market and WordPress itself. Our license policy on our site clearly states that all our software is licensed under Creative Commons Attribution-NonCommercial-NoDerivitaves 4.0 International License. You can read more in our license policy about this and additional terms about the software. The license has been respected up until now and in the rare cases where it wasn’t, the person or company was kindly asked to take it down and they complied with it. First we will contact the owner of the website and business where Rapid Mailer is being sold and ask them to take it down and stop selling it since it is a copyright infringement, fraudulent behaviour and also unethical to go with it. In the case that the owner of the website does not want to cooperate or comply, we will take serious legal action with our software license and intellectual property as grounds for a lawsuit. We will not take this lightly and we will not tolerate it either. 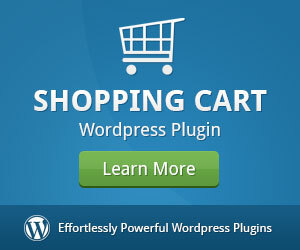 As I mentioned before, we work extremely hard, day in, day out to improve the plugin, maintain it and also support it. Right now, we cannot stop people from buying Rapid Mailer which is being sold online without Tribulant Software’s consent or permission. We do have several reasons why we would not recommend that you buy Rapid Mailer. These are our reasons below. We do not say that the owner of the website will not be able to provide this but in our experience we can guarantee you that doing these things takes extremely hard work and many, many hours every single day. With the technology market evolving as rapidly as it does, everything needs to grow with it. Software needs to evolve with it’s market. You need to stay on top of it. 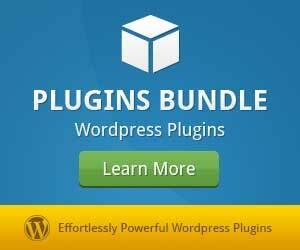 With WordPress releasing updates very often and new technologies being developed, a plugin cannot be built once and be sold forever without maintenance. The same goes for the platforms on which the plugin runs such as Apache, PHP, MySQL, etc. We are regularly releasing updates with new technologies integrated and to comply with changes to platforms to ensure that the plugin still works and that it works well. We also release bug fixes, improvements and new features with this. You don’t want to be stuck with something which won’t be updated. You need support, period. We all do, no matter what software we are using. If you have used our WordPress plugins, you will know that sometime or another you have a question regarding a feature or you actually need technical support due to a conflict, a server incompatibility or something related. We support these queries and do everything in our power to give you the solutions that you need. You do not want to be stuck with software which does not provide ongoing support. Tribulant Software has been operating for almost 8 years now. It started out small and it has grown with time but it didn’t grow by itself, it took hard work and many sacrifices to do so. We are here to stay and move with the market as it changes. We are here to provide our customers and all WordPress lovers with the best software we can possibly make, as we have been doing for a very long time. If this owner realises the first two things mentioned are too much work to maintain, the company may fold and you might be stuck with something which stops working. Thank you to everyone for respecting our software and our WordPress Newsletter plugin in this case specifically. We appreciate you, you rock! If you believe that this case is unethical, please share this article/post in your social circles and also tell everyone you know to refrain from buying Rapid Mailer until we can get a response from the owner of the website or take further legal action. 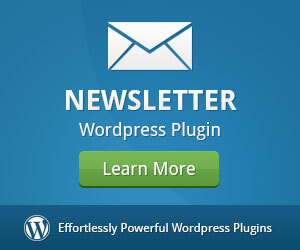 Make sure you buy the original WordPress Newsletter plugin from Tribulant Software. We’ve added many features to our WordPress Newsletter plugin to make it better for our users and to improve the way that you do your email marketing. We know that you may be reading this and that you have already spent your hard-earned money on Rapid Mailer and that they will not reimburse you for it. We are giving all previous Rapid Mailer customers a massive discount right now. Does Tribulant suggest a maximum number of emails sent out at one time? Not specifically, no, it depends on what your setup is and what your server can do. You can easily send 200+ emails every 2 minutes using the email scheduling in the WordPress Newsletter plugin. Yikes, I not only bought into the Rapid Mailer system, But also promoting it ! But I didn’t know that Rapid Mailer had stolen your plugin, as I don’t want to be invovled in legal ossues, would it be better if I stop promoting and using their supposed system? Let us know if you have any questions regarding it or if you need assistance. Dang, i also have the rapid mailer… unfortunately i dont have the money now to switch. i just was looking for the imsc rapid mailer when i stumbled upon this post. I also thought that sean donahoe was a respected and honest marketer. I always thought that the Guy who sold Rapid Mailer was legit until I read your post… I guess I have to be careful about what I buy online these days. Bought the rapid mailer through one of their affiliate promotions and have been having tons of problems with the plugin ever since… Their support seems to be a disappointment too… Can’t seem to get a single problem fixed… My advice, do your research before buying and buy the original stuff not the stolen replica that is prone with problems that aren’t fixed! Any update concerning this issue? I bought this,along with his Profitbuilder theme over a year ago and I have just installed Rapid Mailer on my site,and it created a menu called:’Manage Subscription’ which resulted in screwing up the top navigation layout. It also created a link of the same in the Footer area. I contacted his support,and they said I had to keep the page as it was needed in order for the plugin to work,but it was ok to delete the menu and link,which I would have done,and have done. Ricky, you can actually delete the page. There is a shortcode on that Manage Subscription page, you can copy that an put it to any page you want, you just need to redirect it to the new url. As for the menu, it doesn’t matter if it is there or not as long as you can redirect it, you can delete them as I have did for my sites. Thanks for the advice Kent.I will do that. I have just found out today that RM was not loading in my Dashboard as usual. I installed and activated it last week successfully so I know that my API key is correct,but now it is asking me to activate it again! I have tried several times but it justs says that it is incorrect. I used the link to retrieve details,but it took me to a page that I could not connect to. I then tried just accessing the basic domain name,but was faced with a message from Namecheap saying that this domain has been recently purchased. Strange,I thought,seeing as they have been selling their version for over a year! I have just sent a ticket to their support team,and I am just waiting to hear from them. Oh,I also noticed today,that it had created a ‘Post’ as well.It had a message in it saying not to delete the post,as it was needed as a placeholder for Rapid Mailer images. It was set to ‘Draft’ and I set it to ‘Private’. I suppose I could have just kept it as a Draft post? 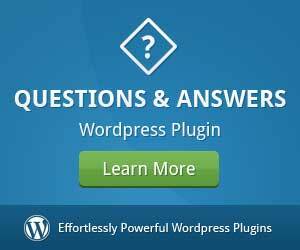 I spent quite a bit of time last night reading through the threads on here regarding ‘WordPress Newsletter Plugin’,and if I was thinking of buying it,I would have,especially seeing as the developers here are very pro active in answering questions,and also,quick in fixing any problems that become apparent too. I had no idea that Mr Donahoe had pinched it,and i have regretted buying anything from him. He is a very aggressive marketer who releases stuff before it is really ready,and it causes much grief for people using his products. His support is then overwhelmed with a ton of questions and problems that need fixing. I would never buy anything that has his name attached to it. Why you give not a special discount for rapid mailer buyers to switching over to Original? You give Affiliates 30%, right? So if a buyer comes directly and send you a rapidmailer code you can give them 30% or better 50% an make all Users Happy an you win new paying customers. It’s hard enough to loose Money. We do give discount coupons and some are published publicly but we do not have any specific coupons for Rapid Mailer customers. We’ll make that possible. That’s appalling. This is the first I have heard of this pirating. Suffice it to say that I have worked with Tribulant for well over a year. They are excellent every time I ask for help. They not only resolve the matter… they are pleasant, kind, friendly, helpful, professional… they’re just plain nice as well as professional. And they proactively work to correct anything on their plugin and keep it up to date with WordPress in my experience with them. Buyer be aware… Tribulant Newsletter Plugin is a good buy. Rapid Mailer are not a good company. I bought the stolen plugin and asked for a refund within the 60 days. They send random emails to get you outside the PayPal refund period then ignore everything. I would avoid Rapid Mailer on so many levels. 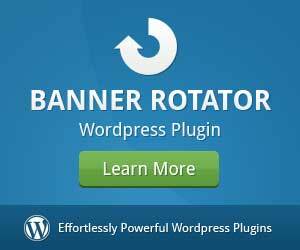 Let me ask you something, is this WordPress Newsletter Plugin a email a marketing tool? Yes, it is an email marketing tool. There is a once-off free for a license and then a subscription fee. See the details on that here: http://tribulant.com/policies/updates/ . The subscription fee is not mandatory but subject to updates. Enjoy the plugin and let us know if you need any assistance. Do you use a specific SMTP program? Which IP do you use to send out 200 emails every 2 minutes? The newsletter plugin can use your local mail server or you can configure an smtp server of your choice. It also has several relay apis integrated such as Amazon SES, Mailgun, Sendgrid, etc. How can we verify your claims about RapidMailer? Anyone can say anything online. As a longtime owner of RapidMailer, I would like to see some form of proof. Thanks. When Rapid Mailer launched their plugin, we have already been developing, supporting and selling the plugin for many years. There are still traces of our software inside Rapid Mailer and bugs that remain in Rapid Mailer which we fixed long ago. Rapid Mailer uses the same database tables as our plugin. So you can install our plugin and all your data will remain as they were in Rapid Mailer. Since this blog post a while back, our Newsletter plugin for WordPress has evolved with more features, more stability and power compared to Rapid Mailer. We also offer fantastic support. It’s really shocking to hear what has happened, I am so sorry about that. Yes, you can create squeeze pages and popups using 3rd party plugins such as List Rocket and integrate our Newsletters plugin. You can create autoresponders with intervals as needed and yes, you’ll have statistics on emails such as bounces, opens, unsubscribes, etc. Thank you for your reply. List Rocket is a Sean Donahoe product. Please tell me about the support and how much your product cost? We don’t do List Rocket, we have our own WordPress Newsletters plugin. I wish I would have found this before I purchased Rapid Mailer. I found Tribulant because Rapid Mailer Support is dishonest, unworthy and unbecoming. I bought it 9 months ago and thought by now they would have the bugs worked out. Not the case. “Manage Subscribers” doesn’t show your opt in. Optins receive the emails and the plugin even shows how many subscribers you have but when you go to manage subscribers, blank. Another thing I needed that doesn’t function are the redirects after the option. And their support, Kris R, he’s BSing all the way through my support tickets trying to get to the holiday weekend. I literally showed him video & screen capture proof of his lies. Rapid Mailer adds at least 3 second to your page speed and litters your database after you uninstall it so you do have to go in and clean all the clunky database tables Rapid Mailer leaves behind. After you do, your page will load 3 seconds faster. Mine did.